Walking home from the farmer's market last week I noticed this wall of cacti. 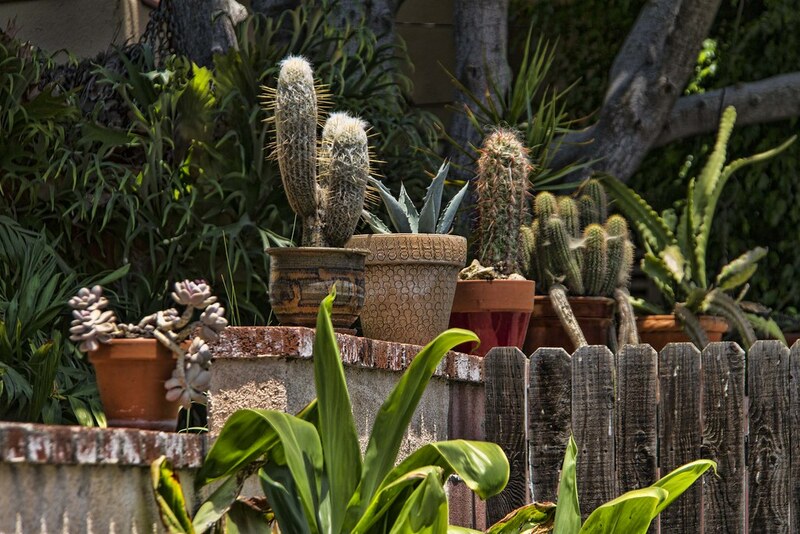 I'm not a big fan of cactus normally, but I really liked the variety of both pots and plants lining the brick wall. The effect was quite charming. Did you know? Cactus in French is cactus. Cactus in Dutch is cactus, and cactus in Swedish is kaktus. i have tried capturing photos of cactus in a variety of places, they always seem to have potential, the photos never work out though, nice catch! Thanks Greg, I know the feeling. It seems I take 50 pictures to get 1 good one.